The former WPP CEO shared his view on technology, the economy, and politics on Tuesday at Techonomy NYC 18. 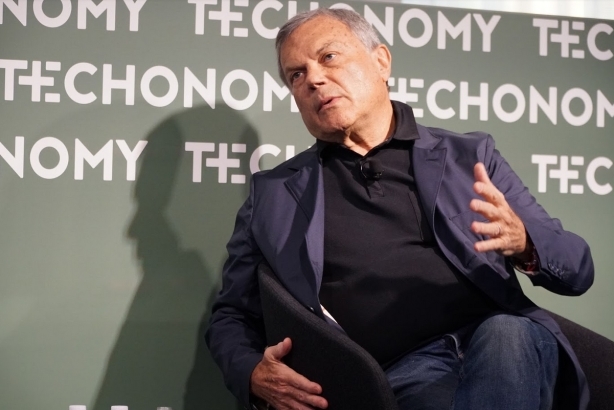 NEW YORK: Former WPP CEO Martin Sorrell warned the audience at the Techonomy NYC 18 conference on Tuesday about the power of Amazon and China, praised the Trump economy, and predicted that President Donald Trump might win a second term. Sorrell pointed out that Facebook and Google should be worried about the growing power of Amazon in the ad world and the economy. "They don’t like being referred to as ‘the duopoly’ for obvious reasons," he said of Facebook and Google. "But they still have a stranglehold. The one threat to them is Amazon. Last quarter, I saw that Amazon generated $8 billion in ad revenue." Amazon’s amazing reach and its connection with small businesses is something Facebook and Google need to monitor, said Sorrell. "Obviously, that’s the two big opportunities for Amazon," he explained. "One is advertising, and they are very aggressive [there]; and the second is search, which poses a big threat to Facebook and Google." The growing importance of China as a tech competitor should also not be underestimated. "China is on its way big time," Sorrell said. "If anybody thinks China is second fiddle in tech, think again." The powerful Chinese approach, as expressed in web giants Tencent and Alibaba, combines aspects found separately in Western tech companies. Sorrell added that the role of Chinese government is "extremely important." Sorrell also had good things to say about the Trump economy, if not about Trump himself. "Who would have forecast where the Dow Jones would be, where the Nasdaq would be, or unemployment," he said. The unexpected passage of the tax bill along with regulatory reform has made a significant difference, Sorrell said. "The real question," he added, "is when is the first crack going to start to appear?" Sorrell noted that Trump has a good shot at being reelected. He said in the next general election, he "wouldn’t bet against Trump again." Sorrell said he doesn’t see a Democratic hopeful strong enough to face Trump and that recent political headlines highlighted for him how potent a candidate the president can be. During the White House Correspondents Dinner, for example, Trump was out on the campaign trail talking to his constituency. "That said everything to me," Sorrell said. "He was working the field while the people who would never vote for him are having that black tie dinner in Washington. He’s very astute, maybe in some ways we don’t like, but he is very astute." On a personal note, Sorrell said at the Techonomy NYC 18 conference that he would be starting over again in the ad business. He explained that he was "extracted" from WPP but won’t "voluntarily or involuntary" go into retirement. He resigned from WPP last month after the board of the company he founded began investigating accusations he misused company assets.